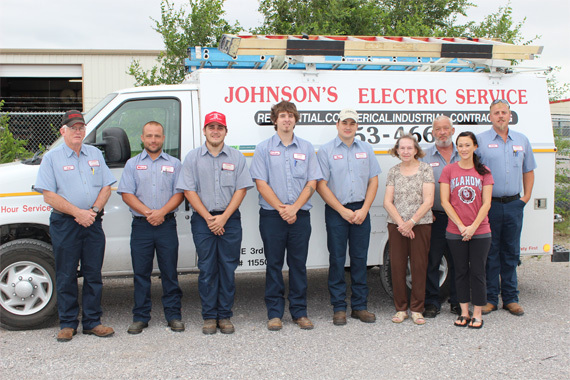 Johnson’s Electric Service is a family owned and operated company which has been in business since 1948. We’re dedicated to providing world class electrical services to you, our neighbors in the Lawton area and we show our dedication to our customers with every job we do. All of our employees are trained professionals who are thoroughly background checked and drug tested to ensure that you receive only the best service in central Oklahoma. Our technicians take care to make sure that your home is just as clean when they leave as it was when they arrived, wearing shoe covers and using floor protection so that there’s never a mess left behind for you to clean up, no matter how large or small of a job it is. Our employees are also ready and able to courteously and knowledgeably answer any questions that you may have about our services. We believe that our customers are the best in the world. That’s why we make sure that all of our installations and repairs use only the very highest quality equipment and materials. All equipment and materials we use in our work will meet or exceed the electrical code in your area. Every one of our panels features solid copper busbars for a cooler operating temperature and a longer service life; it’s all part of our commitment to your safety and quality work that lasts. Wouldn’t it be great if you always knew ahead of time exactly how much a repair or installation was going to cost? That’s exactly what you’ll get when you hire Johnson’s Electric Service. Before our technicians go to work on your job, we give you the price up front and that’s what you’ll pay. No surprises, no last minute surcharges, no bait and switch. Unlike a lot of other electrical services which quote one price and charge another when they give you the bill, we stand by our word. No work will be done until you’ve approved everything. It’s the way that we believe business should be done – treating our customers the way we’d like to be treated. Our residential customers can sign up for a membership in our Safety and Savings Plan. Members receive a discount of 15 % on all of our products and services, along with a free annual Whole House Safety Inspection. These aren’t the only benefits of being a Johnson’s Electric Service Safety and Savings Plan member either. Members receive priority service, so even during our busiest times, you’ll be moved to the top of our list when you need our help. 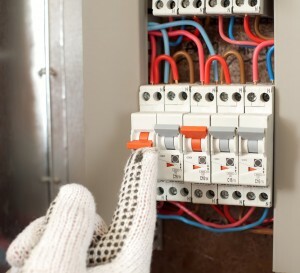 No matter what your electrical needs may be, you can call on us to get the job done. We do electrical service work on both residential and commercial properties, including generator installation, whole home surge protection and installation of electrical systems in new commercial construction, just to name a few of the services we offer.